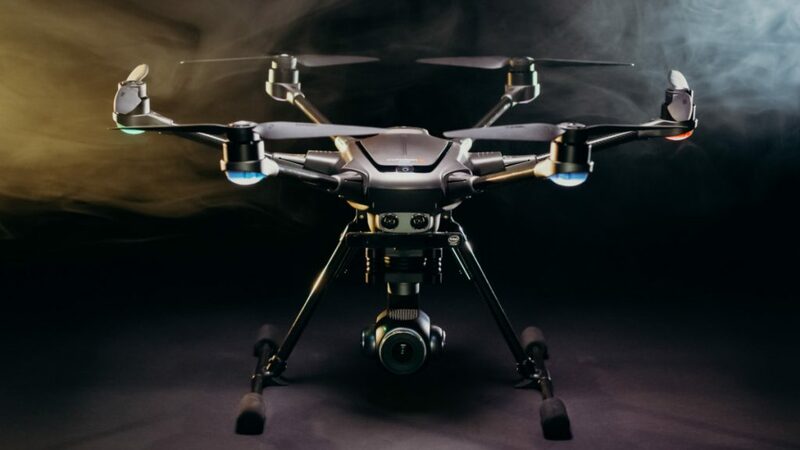 Yuneec is one of the great names in drones, and this year at CES, it is bringing three new fliers in a wide range of price categories, sure to be friendly to any budget. Not only are we getting two new drones, but also a brand new category – fixed wing aircraft, which is where we’ll start off. This is a guest post by Adam Doud from our team at Android Authority. Thank you Adam! 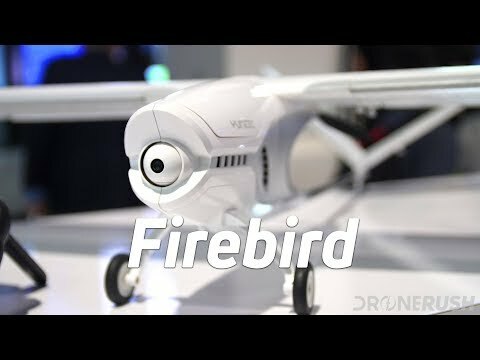 The Firebird FPV is a fixed wing aircraft that allows the pilot to view the flight as if sitting in the cockpit. The lightweight design allows for flight times of up to 30 minutes. The aircraft is designed to work with any skill level from beginners soaring through the sky, or advanced pilots performing rolls, loops, and even inverted flight. The aircraft also includes additional features like Safety Mode, which sets altitude floors, Return Home, Geo Fences, and auto-landing capabilities. 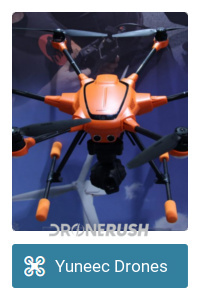 But this site is called “Drone Rush” so let’s get to the drones, shall we? 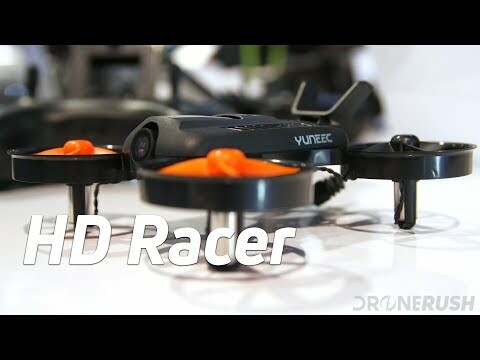 Starting off with the HD Racer, Yuneec’s first racing drone provides pilots with an immersive FPV flying experience. The racing drone has two modes – beginner and advanced mode, so novice users can still give it a go. This nimble little craft is designed to maneuver around obstacles, while the protected blades and small size make it safe to fly indoors. Putting live stream video in front of you is an optimized, low-latency, all-digital HD downlink FPV. The drone also records in 1080p at 60fps. One last cool thing – “flip up” mode automatically corrects a downed drone, in order to maximize flight time, and minimize downtime. Your drone will be back up and racing in no time! 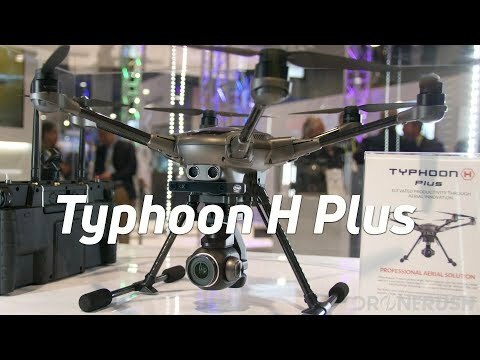 Finally, Yuneec has its heavy flier, the Typhoon H Plus. This is a follow up on its first-generation Typhoon H. Like its predecessor, the Typhoon H plus has a six-rotor hex airframe. Not only is this second generation able to offer stable flight in up to 30 mph winds, but the Typhoon H Plus also reduces engine noise by 40 percent compared to its predecessors. This drone is for creators, capable of 20 megapixel stills and 4K video at 60fps. The newer model also improves low-light camera performance. 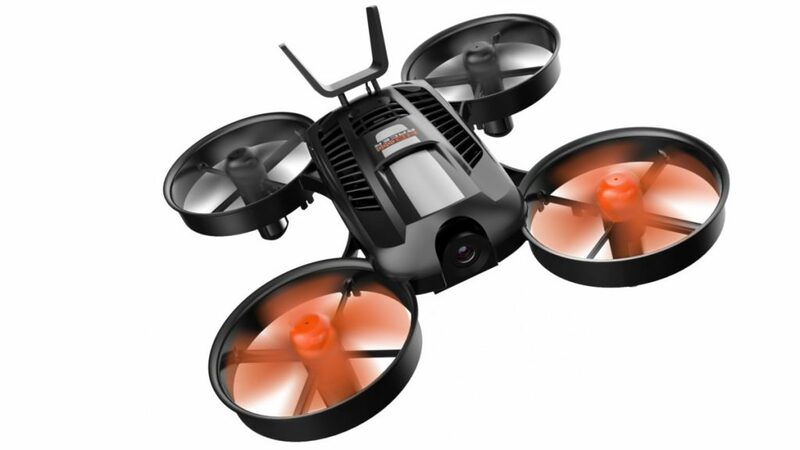 A continuous rotation gimbal along with retractable landing gear provides 360 degree unobstructed views. 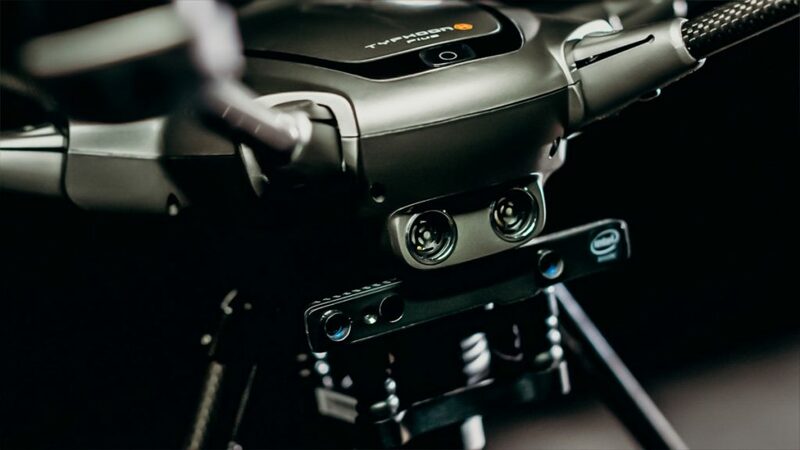 Adding to that, Intel’s© RealSense® Technology offers a sophisticated collision avoidance system. The Typhoon H Plus comes with an Android-based ST16S controller with a 7-inch integrated 720p display. 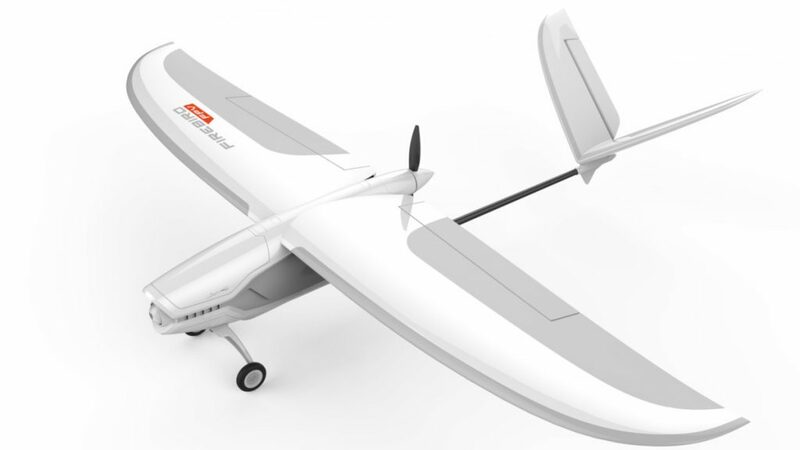 The Firebird FPV fixed wing aircraft will retail at $699.99 while the Typhoon H Plus will cost $1799.99. Those will be available in the first half of 2018. The HD Racer will retail for $179.99 and should hit shelves in the second half of 2018. What do you think about these offerings? Is there a new Yuneec flier in your future? Hit us up in the comments down below and let us know! 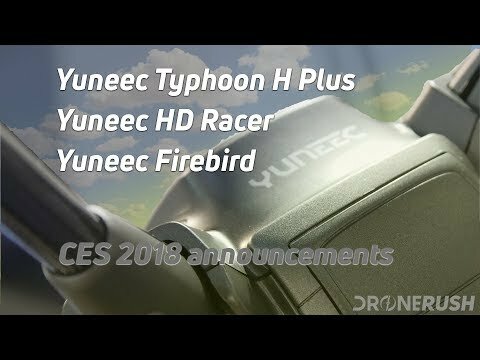 Stay tuned, we’ll be visiting Yuneec to go hands on with these new drones at CES 2018. Update: We went hands on, let’s check them out.